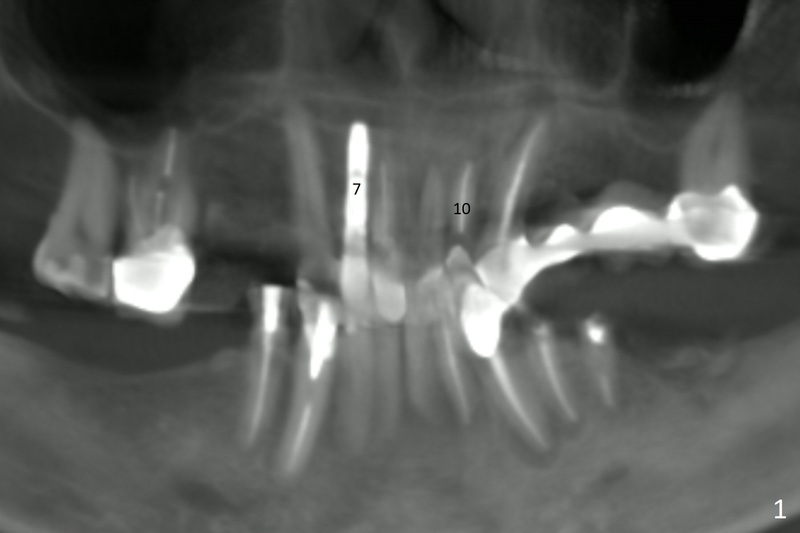 A 60-year-old man fractures the tooth #10 after implant at #7 (Fig.1). 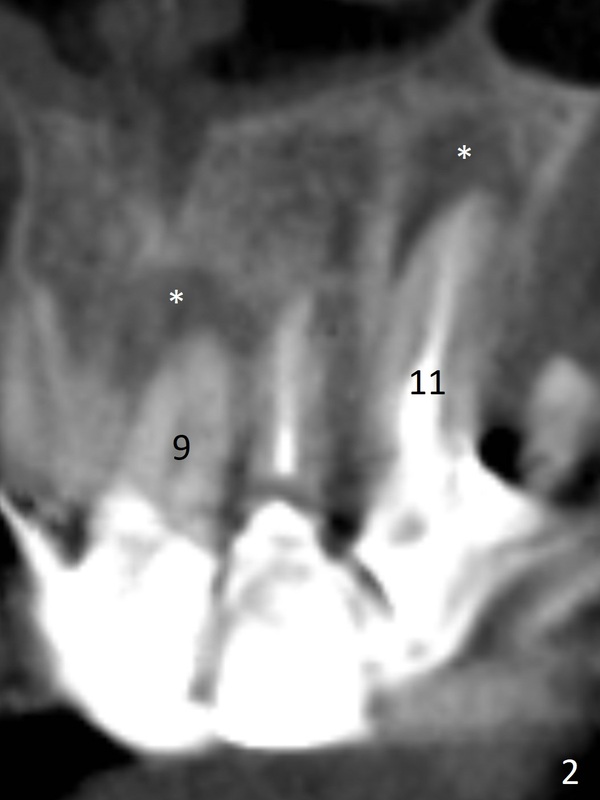 An implant should be placed in the middle of the socket at #10 since there is periapical radiolucencey at #9 and 11 (Fig.2 CBCT). The buccal plate at #10 is thin (Fig.4). 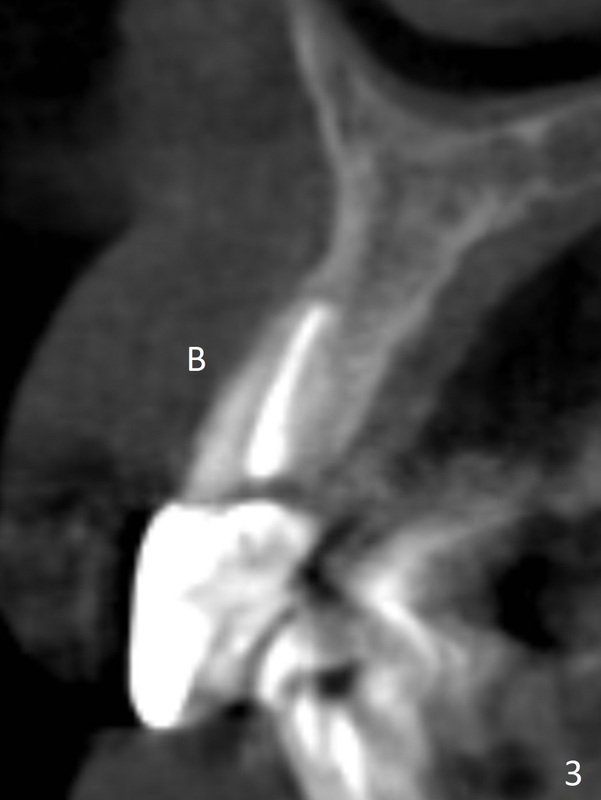 A 3.8x15 mm implant (the smallest 2-piece) appears to be large for the alveolus (Fig.5). The gingiva must be thin as well. This is called thin biotype. In fact the buccal plate seems to have undergone bone resorption post 3.8x15 mm implant placement at #7. 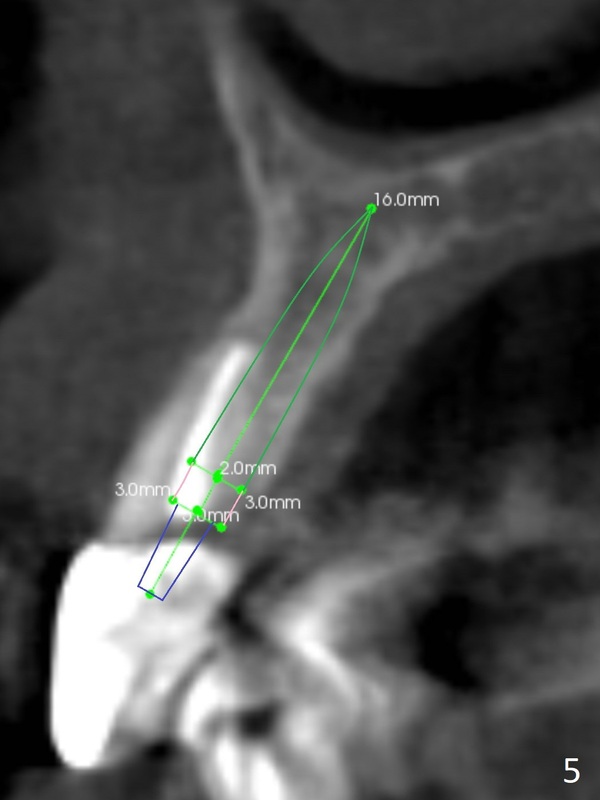 Therefore a 2.5 or 3x14 or 16 mm 1-piece implant will be placed at #10 (Fig.5). Also prepare angled ones. Take photos of #7 and 10 to show bone resorption and the thin gingiva. If the caries is not extensive, perform socket shield. In fact a 1-piece implant is chosen because of the narrow mesiodistal space.